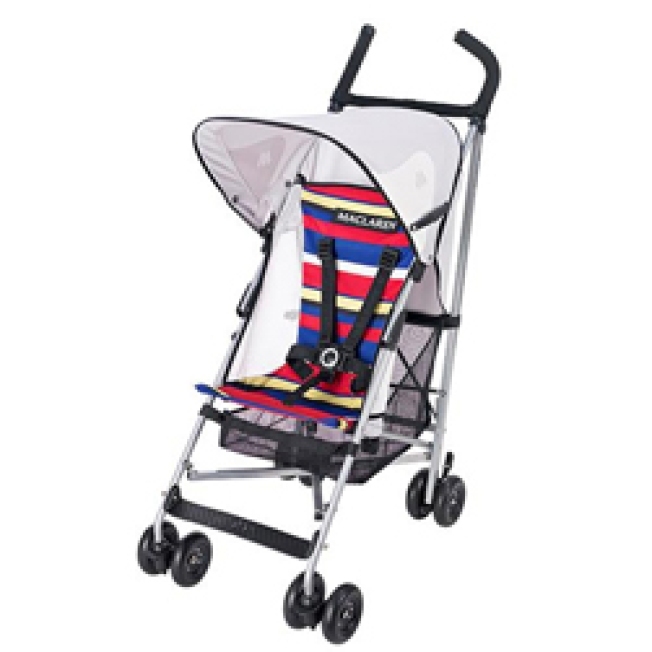 This Maclaren stroller is one of the many items on sale at The Right Start. We love a good sale, but we hate hearing that the reason for the sale is because a store is going out of business. The Right Start , located in the same Lincoln Park shopping complex as Treasure Island Foods, will be closing its doors at the end of April. As a result, everything in the store is 30 percent off, from baby supplies to books to strollers and more. The national chain of 33 stores filed for Chapter 11 bankruptcy on Feb. 3 to reorganize, possibly with new ownership. While it's pretty likely the wares at the Lincoln Park store are fairly picked over by now, you never know what kinds of gifts or necessities you might still find, so trek on over for last-minute deals. You can also check out their web site, where things like the pink ''all-in-one'' potty seat and step stool and the Bugaboo Chamelon stroller are still in stock.